Premier Car Care Ltd is an business that started trading in 2009. Originally situated in Whitley Bay, Tyne and Wear and now located in County Durham between the A1-A19 corridor; I am strategically placed to offer an excellent service to the motor industry and the public sector in the North East region. My services are ideal for people who would like to have minor cosmetic damage to their car repaired at a fraction of the cost of a traditional bodyshop. On average, it takes approximately three to four hours to completely and professionally repair minor cosmetic damage to a single area, ultimately saving you time and money. Specializing in Smart repairs and not full resprays, means we can perform to a very high standard. NEW from 2018 is my Repair Centre, it’s fitted with all the latest equipment and technology, including a professional paint matching system, which means that repairs can be undertaken quickly and efficiently. I have a real passion to provide the best quality repair possible. I am confident that you will be delighted with the standard of our work. 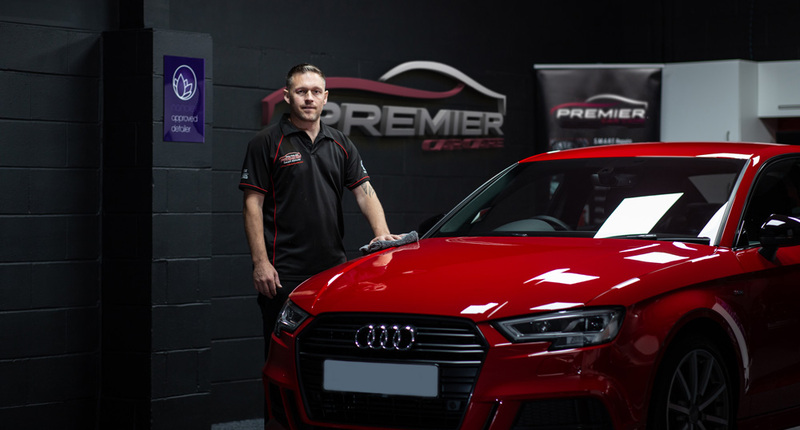 Each vehicle that visits Premier Smart Repair & Detailing Centre, receives the same quality of care and attention to ensure a fast, yet professional standard of repair. On arrival, the car will be wrapped in a clear polymask which clings to the body, to ensure no over spray or dust gets on to it, while the repair is carried out. I only work on one car at a time, so each job will get our full attention and be completed without interruption. With 7 years experience working on a mobile basis, and 12 years in a management background, meaning you can trust us with your vehicle. With the investment of new state of the art equipment and products I can offer the very best in Vehicle Detailing and Enhancement. I am fully insured giving you that extra piece of mind.